Does planning holiday get togethers leave you feeling scrambled? This Easter, let TAG do the heavy lifting. 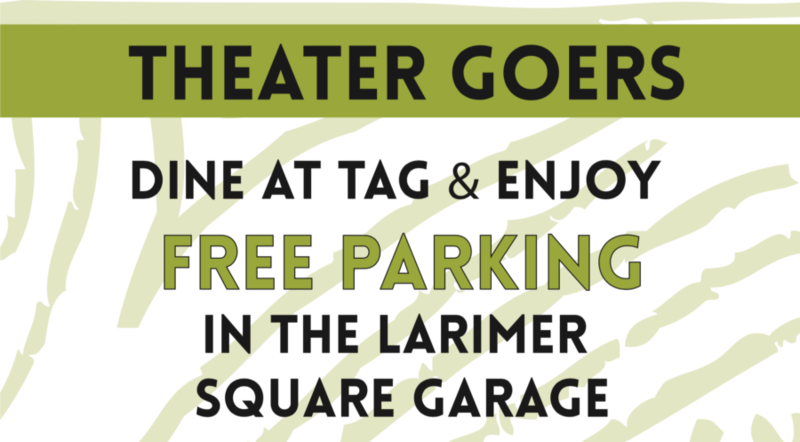 Join us for a three course,..
Everyone loves a night out downtown, but no one wants the headache that comes with trying to find parking. 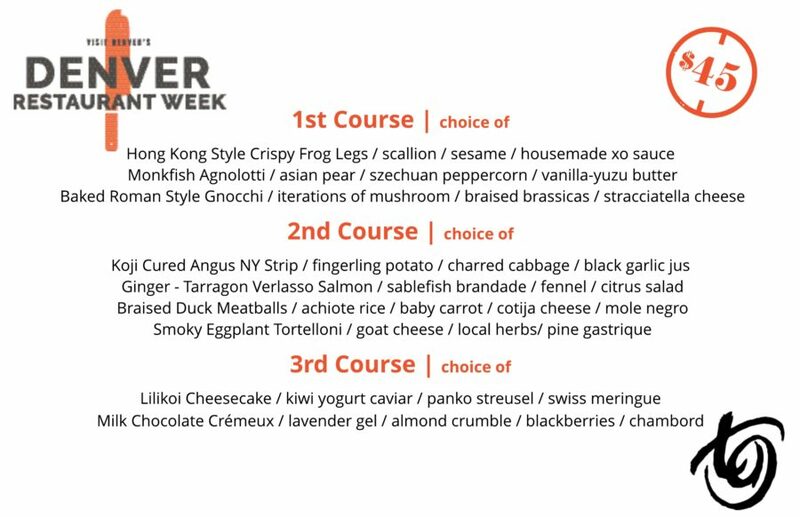 We’ve got the perfect solution..
Denver Diners- Restaurant Week is back! Experience the best of TAG for $45. 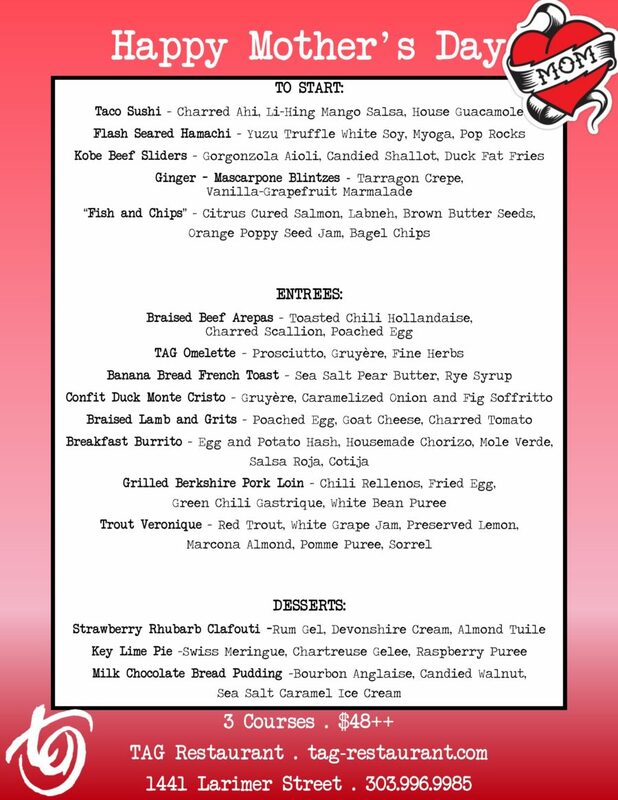 Delight in such offerings as Monkfish Agnolloti with Asian..
Take a bite out of life and indulge yourself in TAG’s seven course feast, designed to unleash the sinner in all of us. Add drink.. This season, make TAG your ho-ho-home for the holidays! 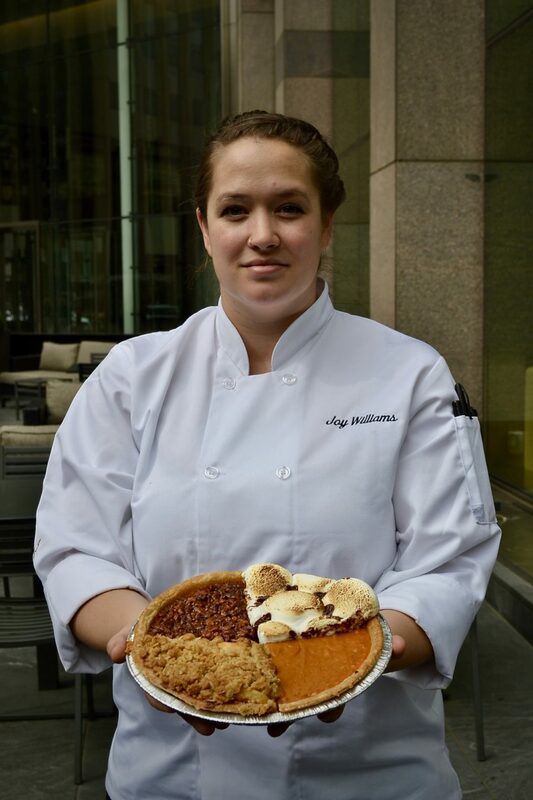 With a $75, 5 course menu full of seasonal selections, TAG on Larimer Square is..
CLICK HERE TO ORDER PIE! You turned out great, and you have her to thank! 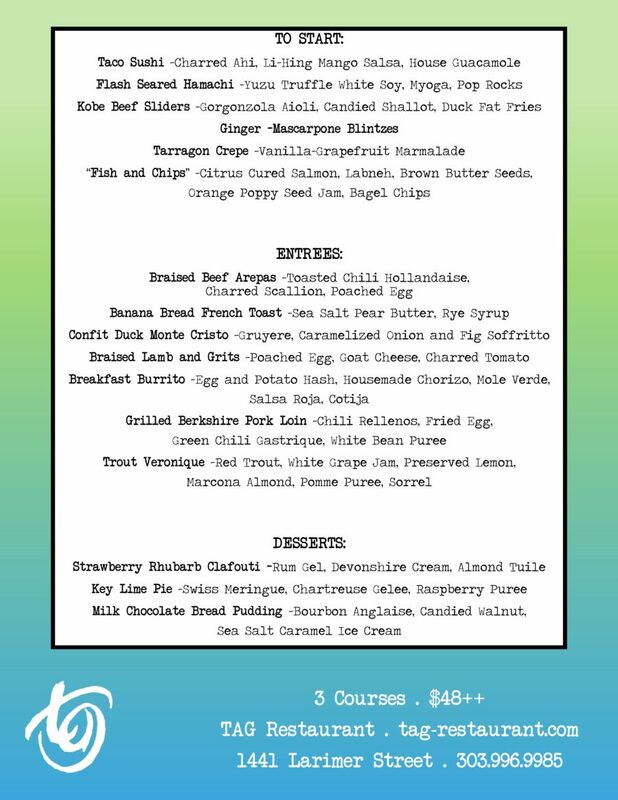 Celebrate Mom with the second of our two annual brunches. 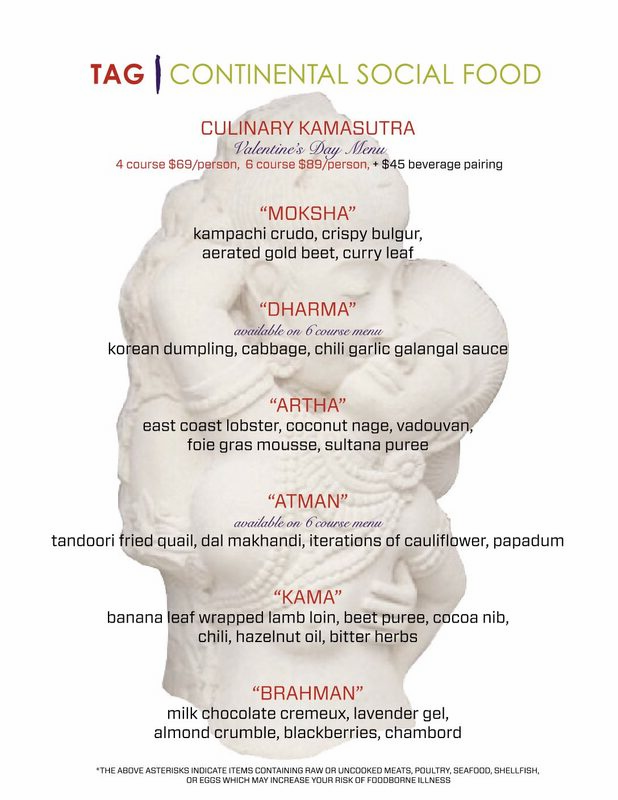 Join us for a multi course.. 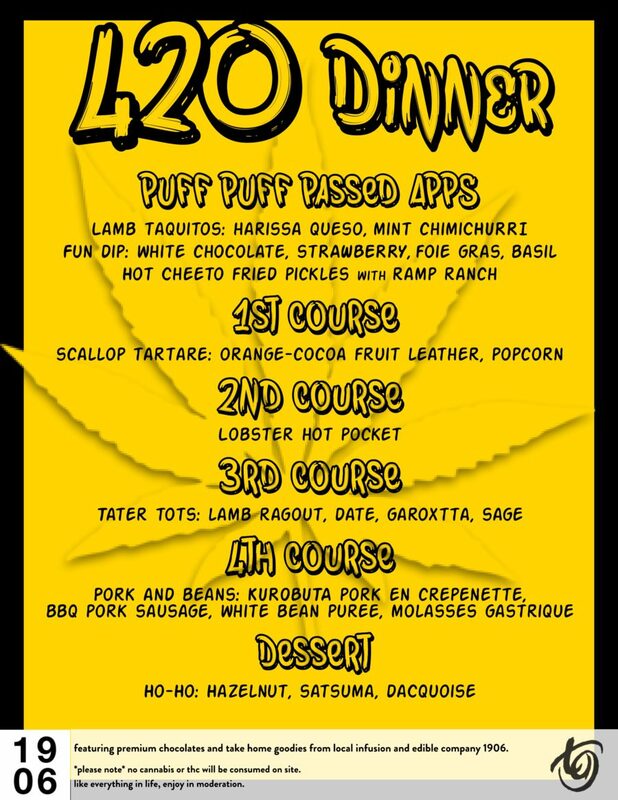 Whether you puff or choose to pass, TAG Restaurant has the most crave-able 420 menu in the “high” country! 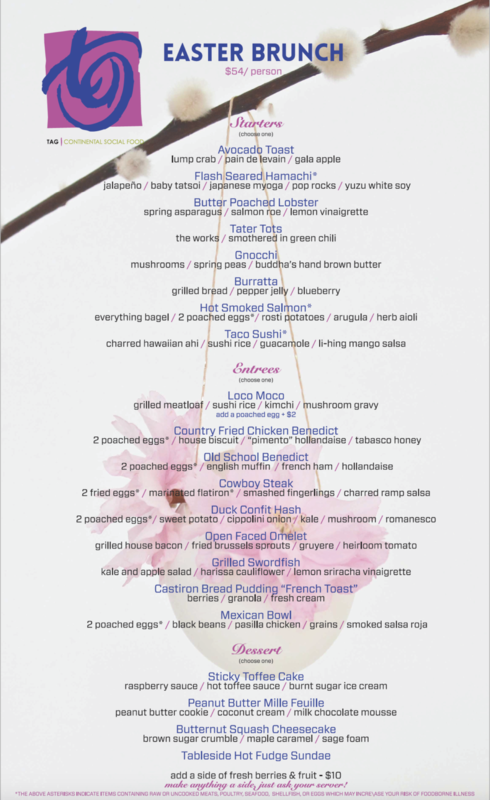 On Friday, April 20th, elevate..
Join us on Denver’s most exclusive block for a very special Easter Brunch at TAG! Now taking reservations for our three course event. ..